July 2014 – Have We Had Help? I know I’ve said this in the past, but I will continue saying it until the day I die. When it comes to science fiction, if like me you are a purist, Hollywood simply doesn’t have a clue. Look at what they did to H.G Wells’ classic science fiction tale The War of the Worlds. Both cinematic versions – the original from 1953 starring Gene Barry and Anne Robinson, and the more recent effort in 2005 starring Tom Cruz veered so far away from Wells’ original vision that for anyone who has read the book in its two parts – The Coming of the Martians and Earth under the Martians, which first appeared in 1897 in serialised form before they were eventually published in 1898 as The War of the Worlds, would be forgiven for assuming that what they were watching bears little or no resemblance to H.G’s book. It’s a safe bet that were he still alive today he would be suing the pants of those responsible for tearing his work apart, merely to please a largely American audience. Now we come to the next in my list of favourite writers – J.W.P.L.B Harris (pictured above), or if you prefer it – John Wyndham. He was born on the 10th of July 1903 in the village of Dorridge in Warwickshire here in England. After leaving school, he tried several careers including farming, law, commercial art and advertising, but mostly relied on an allowance from his family. He eventually turned to writing for money in 1925, and by 1931 was selling short stories and serial fiction to American science fiction magazines, most under the pen names of ‘John Beynon’ or ‘John Beynon Harris’, in each case utilizing his other Christian names along with his family name. He also wrote some detective stories. Without a doubt, every science fiction tale he ever produced is a classic. His titles include The Day of the Triffids (1951), also known as Revolt of the Triffids, The Kraken Wakes (1953), published in the US as Out of the Deeps, The Chrysalids (1955), published in the US as Re-Birth, The Midwich cuckoos (1957) – filmed twice as Village of the Damned, first here in England in 1960 starring George Sanders, and later in 1995 by Hollywood, starring Christopher Reeve and Kirsty Alley. He also wrote The Outward Urge (1959), Trouble with Lichen (1960), and Chocky (1968). During the Second World War he first served as a censor in the Ministry of Information then joined the army, serving as a Corporal cipher operator in the Royal Corps of Signals. He participated in the Normand Landings. although he was not involved in the first days of the monumental military operation. After the war, he returned to writing, inspired by the success of his brother who had had four novels published. 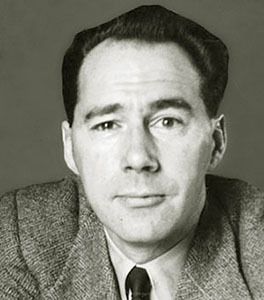 He altered his writing style and by 1951 using the John Wyndham pen name for the first time, wrote his seminal work The Day of the Triffids. His pre-war writing career was not mentioned in the book’s publicity, and people were allowed to assume that it was a first novel from a previously unknown writer. The book proved to be an enormous success and established him as an important exponent of science fiction. During his lifetime he wrote and published six more novels under the same pen name (see above). In 1963 he married Grace Wilson, whom he had known for more than 20 years; the couple remained married until he died on the 11th of March, 1969 aged sixty five. How often do you find yourself laughing till you cry, or until your stomach aches? In my own case it is currently once a week at noon every Tuesday, when the digital radio station here in the UK ‘BBC Radio 4 extra’ replays a half hour of priceless British humour in the form of one of the two hundred and thirty eight episodes of The Goon Show, largely written by Spike Milligan, originally broadcast by the BBC Home Service from 1951 until 1960. After serving their country during the Second World War, a group of newly demobbed men found themselves no longer wanted and out of work. 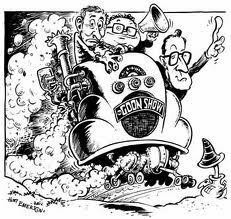 They were, Michael Bentine, Harry Secombe, Peter Sellers and Spike Milligan. For those of you who have read my bio on the About page here on my blog, or on my Amazon or AuthorsDen pages, you will know who my literary heros are. 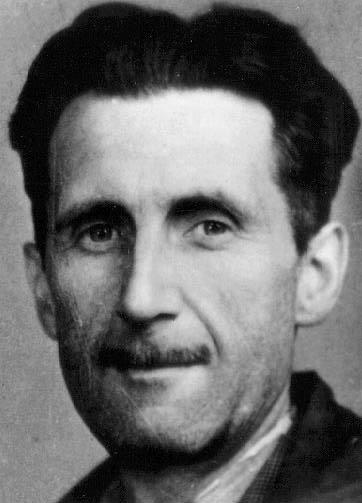 Let us start with Eric Arthur Blair, or for those who don’t know him under that name, perhaps you may know him by his pen name – George Orwell. Eric was born in Motihari, in Bihar, India on the twenty-fifth of June 1903, the product of an English father and a French mother. Eric was a novelist, essayist, journalist and critic. The fact that because of his scholastic achievements meant that he won a place as a King’s Scholar at Eton, did not mean that he ever considered himself as one of the so-called ‘elite’ in society. Far from it in fact. Because of his family’s social standing as well as the fact that Eric’s grades at school weren’t sufficiently high enough to ensure that he gained a place in either Oxford or Cambridge universities, his father chose his son’s career. Like him Eric had a love of the ‘East’. So it followed that he became an officer in the Imperial police, the forerunner of the Indian Police Service. Back then your father’s word was law. Blair began his career in Burma. Needless to say Eric soon impressed his superiors, and was promoted to Assistant District Superintendant at the end of 1924. Posted to Syriam, close to Rangoon, he was now responsible for the security of two hundred thousand people. By now Eric had earned the dubious reputation of being an ‘outsider’. His environment, along with the way the Burmese were being treated by his own countrymen was the catalyst for the direction his life would take. He wrote that he felt guilty about his role in the work of empire and he “began to look more closely at his own country and saw that England also had its oppressed …” Eric resigned his commission and headed back to England to his parents home in Southwold, not too far away from where I live here in the English county of Suffolk, before eventually settling in London in 1927. Following the example of his own literary hero Jack London, looking for inspiration Eric began ‘slumming it’ in the poorest parts of London. For a while he ‘went native’ in his own country, dressing like a tramp and making no concessions to middle-class customs and expectations. Out of this experience and others came his first novel Down and Out in Paris and London published in 1933; a stark portrayal of life at the bottom of society in the twenties and thirties. For a while he took various jobs whenever they were offered to him. For a few brief years he taught in a couple of schools – a prep school for boys in Hayes, and Frays College in Uxbridge. But by now books and everything to do with them were fast becoming the main priorities in his life. Thanks to his maternal aunt Nellie Limouzin, he landed the position of part-time assistant in a second hand bookshop run by friends of his aunt. Out of his time there came his next novel Keep the Aspidistra Flying in 1936. By now the Spanish Civil War was gaining momentum. After marrying Eileen O’Shaugnessy, Eric headed to Spain like hundreds of others with a conscience to join the International Brigade to fight on the side of the common people against Franco’s facist backed military uprising. Out of his time spent in the trenches at places like Aragon and later Alcubierre, 1,500 feet above sea level, inevitably came his next novel Homage to Catelonia. While thankfully there was not much fighting, the often freezing weather conditions at that altitude made their lives a misery. The lack of weapons, ammunition and in particular good boots meant that the time they spent there was almost farsical. The regular supply of both weapons and food was sporadic to say the least. Any form of medical help, even common pain killers as well as bandages and dressings, was unavailable in the front lines. On many occasions to fend off their desparate hunger and the inevitable ilnesses brought on by being undernourished, they were forced to forage for what food they could find, often while being targeted by the opposition from the safety of their own trenches. Despite the risks, at least their excursions got them away from the permanent population of rats in their trenches and dugouts for a while. However, it didn’t put any kind of distance between them and their constant personal companions – body lice. Eric returned to England in 1937 after recovering from being wounded in the throat. By now his views on the debacle that was the Spanish Civil War largely fell on deaf ears. No one in the establishment wanted to know. By now the idea of his next novel Animal Farm, eventually published in 1945, slowly began to form in his mind. While it is undoubtedly black humour, it is a clear portrayal of his deep loathing for Stalin and everything communism stood for at the time. The book struck a chord in the post war anti-communist climate with so many people, making him a much sought after writer and public figure. Probably the work Eric is best known for is his anti-totalitarian dystopian novel, Nineteen Eighty-Four published in 1949, a year after I was born. But by then he had been diagnosed with incurable tuberculosis. He was to linger on until he eventually died on the twenty-first of January 1950. The self-publishing industry has become one of the fastest growing industries of the century. According to R. R. Bowker, the self-publishing industry has grown 287% since 2006, with close to 150,000 self-published books released in 2011, an astounding 43% of all new books released. Unfortunately, this self-publishing growth spurt has also created a haven for scam artists to take advantage of aspiring authors—authors who have decided to self-publish as opposed to taking the traditional publishing route, authors who are anxious to get published and naïve about the seamier side of the industry. You must be an informed consumer when it comes to purchasing publishing services. Here are some things to watch out for before you choose a service to help publish, promote and sell your book. Letʾs start with some definitions. 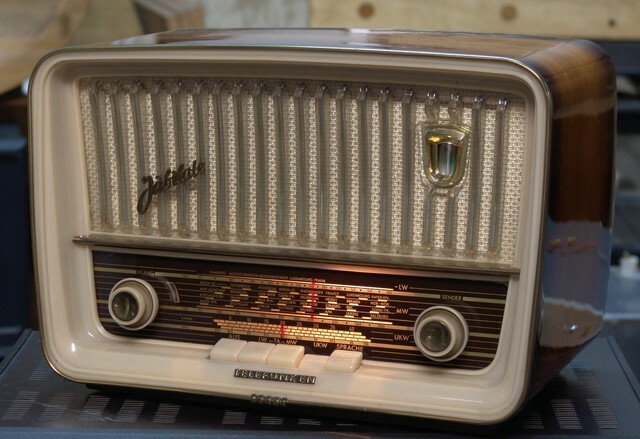 When I was a child during the late nineteen forties into the fifties, our only family entertainment was the radio. Times where tough back then. To all intent and purpose, Britain was bankrupt and in a period of austerity. It was still recovering from the ravages and deprivations brought on by the Second World War. Food was still being rationed. No one had much money. One thing I absolutely loved to do was imagine what the people we used to listen to on the radio each night actually looked like. Far too often my childish imaginings were way off target whenever I saw a photograph of them. When I was ten, we finally got our first black and white television after we had emigrated to New Zealand in 1958. My favourite childhood activity of imagining what people looked like faded into the distance for me, or did it? For all of us the difference in the post war standard of living between New Zealand and here in Britain was startling. For the first time in their lives my parents had spare money left over each payday. Compared to what they had to put up with in Britain, New Zealand was, and still is, a paradise. Apart from playing outside, climbing trees, making friends with the Jersey cow named Gwen that gave us and the owner of the orchard we had moved to and his family, fresh milk each day, plus making tree huts out of whatever was at hand, my main passion for reading, instilled into me by my parents from the age of four, meant that I still liked to imagine what a character, or characters, in the particular book I was reading at the time looked like. Even today at sixty-six, whenever I read any book I find myself creating a mental image of what those characters may look like, or at least how I would like them to look that is. When I write a book, I conjour up mental images of my characters in my quest to get to know them intimately. Plus, having created that mental image, it makes it easier for me to work out what physical attributes to give them along with the various mental and emotional traits which are necessary for the reader to also imagine them. As their creator, you will soon find out which characters you like and which you loath. Yes, even we writers don’t necessarily like every character we create. In that regard, people in books are really no different from people we all encounter during our lifetimes. Continuing the twin themes of this post we now move on to observation. I don’t know about you but I like to observe people. Doing so is just another tool that I use when creating my characters. Here’s a challenge for you. 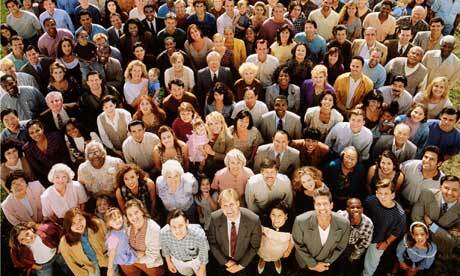 Could you pick out the writer from a crowd of people in the street? What does a writer look like? Is there anything about their physical makeup that says writer to you?